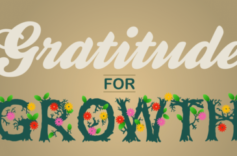 Gratitude for Growth is our 2018-19 stewardship theme. Your gifts of time, talent and treasure free us to continue the chain of blessing that God has begun here at St. Timothy's and in our community. Thank you! AmazonSmile is a simple and automatic way for you to support St. Tim's every time you shop, at no cost to you. Click the link below and be sure to select "St. Timothy's Mountain View, CA"